A subtle distinction exist between limited and special edition pens. Pelikan has manufactured many limited edition pieces which are characterized by production in a defined run of finite number. In contrast, special edition pens are often produced in an unlimited number but only for a limited period of time. 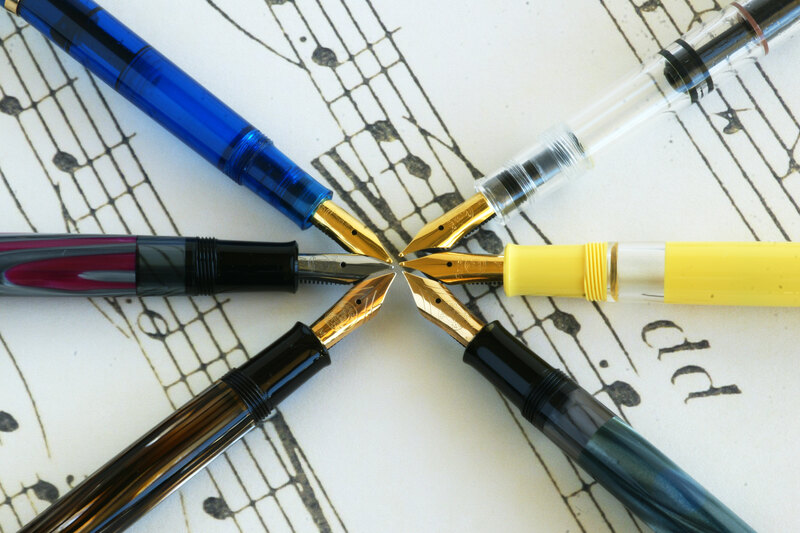 Since the mid-1990’s, Pelikan has released many limited edition pens. These are often targeted at a specific consumer group with sufficient purchasing power as the price of these models usually comes at a premium. 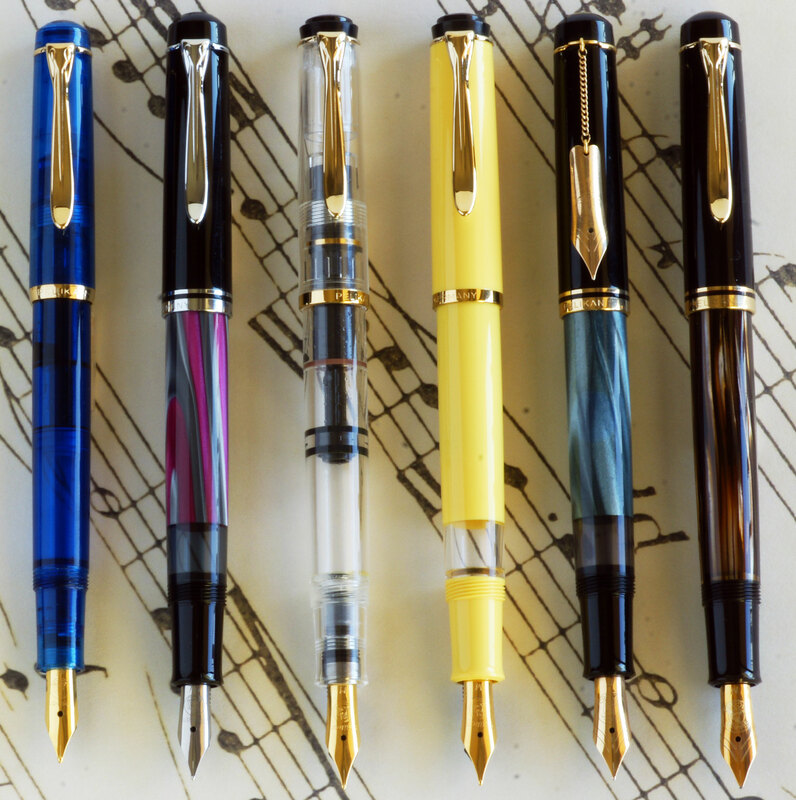 Since these pens are only available in a known limited quantity (with individual pieces often numbered), the company builds in an incentive to buy. Examples would include; The Pyramids of Giza, The Hanging Gardens, The 1000 Years of Austria, Golden Phoenix, The Originals of Their Time series, Hunting, Golf, and Wall Street just to name a few. These are pens designed to commemorate certain events in history, places, historic pen models, or activities. There is also a subset of special edition pens produced in a limited quantity which are made at the request of a specific consumer or for a particular region. This practice within the company dates back to before World War II with the production of the Emege pens and has continued since that time. This has resulted in several variations based off of mainstream model lines that were produced only in small runs for a specific customer though were not themselves numbered. Six of those pens from the modern era will be detailed in this post. The blue transparent M150 was released in 1994 for the Bols Company of the Netherlands. Lucas Bols is the world’s oldest distilled spirit brand dating back to 1575 and one of the oldest Dutch companies that remains active today. This model was released the year after the M800 Blue Ocean and is made in a slightly different shade of blue. The run was limited to just 3000 fountain pens. This pen comes in the pre-’97 trim package and is distinguished by a derby cap top, gold-plated furniture, absence of a trim ring on the barrel, and beveled cap band at the lip. The nib is gold-plated stainless steel. The magenta/grey M200 was released in 1994, the same year as the Bols M150. It was a special edition release of just 5000 fountain pens for the Deutsche Telekom AG phone company (rollerballs and ballpoints exist as well). The pen was made at the time Deutsche Telekom was transitioning their company color scheme. This pen demonstrates the pre-’97 trim package with a derby cap top, absence of a trim ring on the barrel, and two cap bands. Interestingly, this is the only M200 to feature rhodium plated furniture as opposed to gold (commonly seen on the M205/M215 lines). The nib is made of polished, unplated stainless steel. The word “Telekom” is engraved on the cap band of this model to further set it apart. There was an unknown quantity of pens (overstock from the original run) made available for sale with the standard Pelikan cap ring engraving (without ‘Telekom’) sold through Karstadt Warenhaus GmbH. The creme yellow M200 was released in 2002 and limited to only 1200 pieces. This run was commissioned by Aldert Walrecht (1931- 2009) to celebrate the 25th anniversary of his company, Citroenpers Publishing of the Netherlands. The pen was available with a limited edition art book with color prints made by the publisher’s youngest son, Rogier Walrecht. Citroenpers translates into English as Lemon Press. There was a second run of this pen sold through Galleria Kaufhof sometime later. The Citroenpers edition is distinguished by two chicks in the nest on the cap top versus just one seen on the re-issue. Since it is a post-’97 model, it has the crown cap top, gold-plated furniture, single cap band, and has a single trim ring at the piston knob. The nib is gold-plated stainless steel and the ink window is clear instead of the usual colored variant. *The above list only refers to the number of fountain pens produced and is by no means meant to be an exhaustive list. It is provided for your reference only. I have two of the pens mentioned in this article – the Galleria Kaufhof creme yellow and the M250 Brown Tortoise. Thanks for the information on them! Great pens that you have there. I’m happy to have been of some assistance. Joshua; as usual great information & excellent photography. Information on the 6 models was very useful. Thanks. Maybe I will see you at the DC Show once again next year. I’m glad that you found the information useful. I’m hopeful to again attend the D.C. pen show but it is too far into the future to know if that will be a possibility for me. I fear that I will miss the Philadelphia show this year due to work obligations.